The device’s 5MP front FaceTime camera and the rear iSight shooter let you snap up brilliant 12MP photos and 4K videos. The smartphone’s 64GB internal storage can hold substantial data. This sleek gold colored mobile’s big 4.7inch Retina HD touchscreen with 3D Touch technology features a resolution of up to 1334 x 750 pixels. This device comes loaded with iOS 9 OS, which incorporates powerful built in apps, improved Siri, and much more. The integrated 802.11a/b/g/n/ac specification WiFi with MIMO and 4G LTE support ensures you get to enjoy high speed Internet from virtually anywhere. The mobile integrates Touch ID fingerprint scanner that a offers simple, secure way to unlock this phone. You need not worry about this smartphone running out of power at a crucial time, as it ships with a long lasting, rechargeable lithium ion battery. 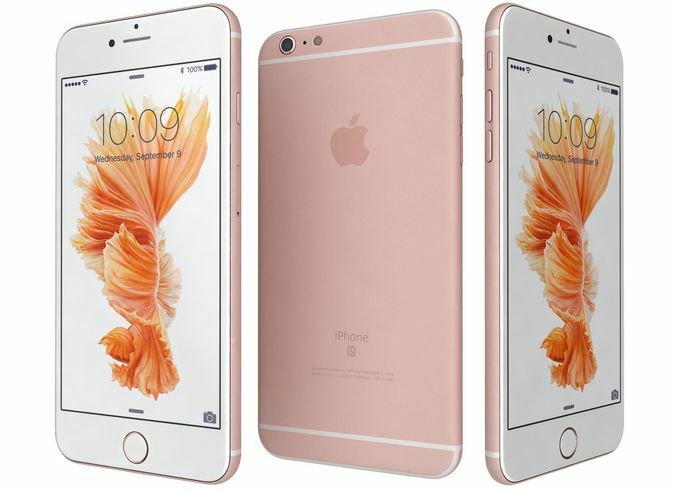 The Apple iPhone 6S comes preinstalled with iOS 9 that features incredible built in apps, revamped Siri, and much more. The OS’s App Store features amazing apps that have been designed to take advantage of iPhone’s incredible processing power. The Apple iPhone 6S incorporates a 4.7inch Retina display that renders spectacular 1334 x 750 pixel resolution images at 326ppi. You can operate this phone with just one hand with room for your thumb to navigate through the device’s menu.